The extensions permits you to use custom options for simples that form grouped products in Magento. It is ideal for stores that sell grouped products that come in a variety of modifications. With this extension you will be able to offer grouped products that come with different parameters. By bringing custom options to grouped products, it allows your shoppers to specify different requirements for each item of a grouped product. With this extension, you will provide your customers with a great shopping experience. The extension is also available for Magento 2.1+ version. Effective product management requires automation, and that is what the extension can help you with. Using it, Magento admins are able to unite products in groups easily and assign the required attributes to each of them. This makes it quick and simple to handle complex products of various modifications. Selecting the required product configuration may be quite confusing for customers, when there is a whole group of items. Thanks to the extension, buyers can modify each product in a group with a great flexibility, being able to specify the exact product value and quantity within the group. By allowing buyers to select necessary attributes for grouped products, you significantly simplify and accelerate the overall ordering process for them. They won’t have to spend much time on hand-picking each product separately. With the help of the extension, the can enjoy the opportunity to modify the entire group from one take. Customer satisfaction with your service won’t take long to come then! Get an ability to use custom options for grouped products. Create grouped products with multiple identical or different sets of attributes. 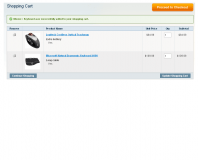 Enable shoppers to select different values for product attributes. Enable shoppers to specify different product quantities. Work with an unlimited number of product attributes. The purchased product appears in the shopping cart as different products with different attributes. Compatible with Shopping Cart Editor extension for Magento. 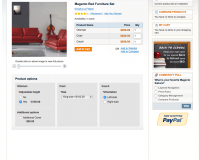 Compatible with Custom Options Templates extension for Magento. 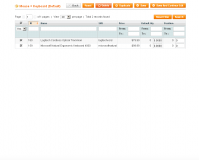 Magento Custom Options Templates plugin – Create templates with custom product options and reuse them whenever needed. Set specific dependencies between options and values and assign multiple products to any existing template at one go. Product Quantities Dropdown module for Magento – Set up custom measurements and allow visitors to select units and quantities via usability elements like dropdown lists, plus/minus buttons and others. Configurable Product Magento extension – Generate new simple associated products leveraging multiple product attributes and manage them in a separate table. Visual Product Attributes plugin for Magento – Make your product page eye-catching by using visualizations instead of a plain text. Upload icons, images and colors and change text descriptions to the corresponding objects automatically. * Fixed the issue with editing order item in admin panel. * The price types for custom options now work correctly. * The 'File' option is now added to the cart for grouped products. + Compatible with Magento 1.6.0.0. This extension was the missing piece that we needed to allow us to have bundled products with custom options. Easy install and it does what it says, very good experience. The module Custom Options For Grouped Products has truly been a lifesaver at our company. It has allowed for us to expand our product selection with more ease for our staff and the customer by making it so that the customer can quickly choose the options they want. I highly recommend this extension and the support I received when an issue was encountered was excellent, aitoc truly went above and beyond to help. I highly recommend this product and choosing this company when you are looking for a stable and effective module.